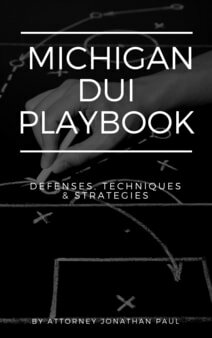 While it's not common, there are plenty of DUI cases in Michigan where the police arrive at the scene and there is no "driving" taking place. The person is actually outside the car, the car engine is probably off, and they are simply waiting around for the police or for a repair truck. In this type of case, the prosecution is going to have an issue with trying to prove beyond a reasonable doubt that you were indeed driving the car. Hopefully, the suspect DID NOT make an admission to the police about driving the car, which will be strong evidence against. So the first thing to do is point out that no admission was made, and the officer has no personal direct knowledge of driving. Attorney: And you never saw my client driving, correct? Attorney: The car wasn't running when you arrived, the lights weren't on, in fact the doors were both closed. Attorney: So while it's possible he was the driver as you assumed, it's just as likely that he had nothing to do with the car. Officer: I thought he was the driver, but yes both are possible I guess. 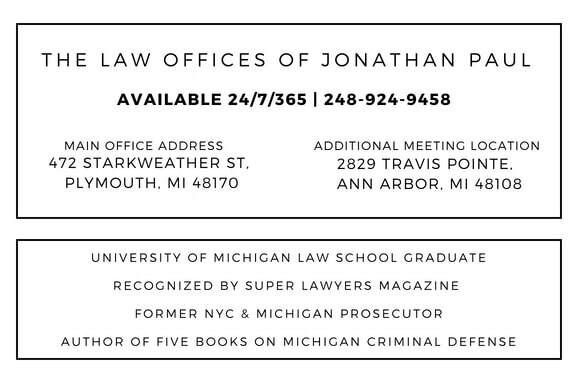 In this scenario the officer has provided exactly what you need to win a DUI case in Michigan. The officer admitted that he wasn't sure who the driver was, and there are two just as likely scenarios, which the jury should conclude is reasonable doubt to acquit, or even for a judge to order a directed verdict due to the prosecutor not being able to prove one of the elements of the offense.